Combustible/Burn is the inspirational play about young people finding their faith challenged, finding their moral centers broadened, and finding their courage strengthened to defeat hatred at any cost. ritten from hundreds of hours of interviews, almost every word of this documentary play comes directly from the original actors themselves, telling a powerful story of Christian idealism, compassion, and justice, burning from a small Georgia city to the coast of Africa and back again. 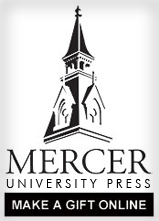 Father Mercer tells the story of the life and labors of Jesse Mercer, a leader in Georgia Baptist life during the first half of the nineteenth century. Yet, rather than telling the story of a larger-than-life pastor with whom few “ordinary” pastors can identify, the books reveals how one who is faithful in small things can, over time, bear much fruit for the Lord. In a world composed of almost seven billion people, about 2.2 billion of them claim to be Christian. And while Christianity is continuing to grow at a modest rate, other religions are growing at a faster pace. Some scholars predict that Islam will overtake Christianity as the world’s largest religion by the middle of the twenty-first century. Predictions aside, religions are competing for the world stage, and in the competition, Christians seem certain that God is on their side. Christians often think and behave as though God is a Christian. This book is written to ask if that assumption is true and to foster a more open conversation about other world religions. The world has grown too small and the stakes for mankind have grown too high for any of us to engage our faith as if our understanding of God represents the only way God’s presence may be known in the world.